Motivate, the leading specialized insights and media partner for reaching Multicultural, Youth and LGBTQ segments, released its 2015-16 LGBT population projection dataset. The geospatial analytics that Motivate provides for millennial segmentations, Hispanic, African American, Asian and other growth markets, can now be attained for the LGBT community. 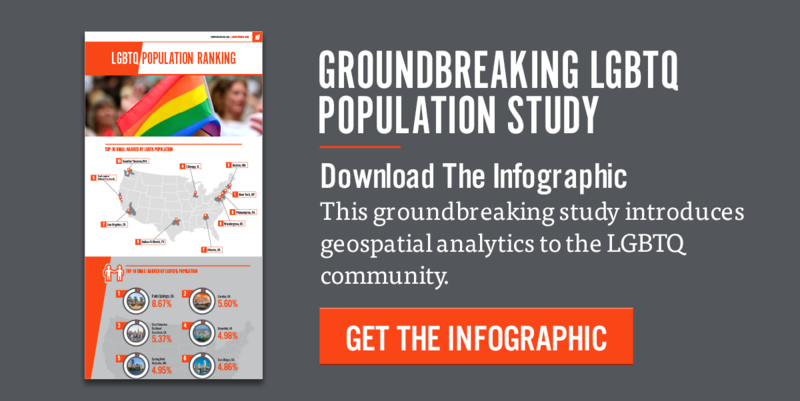 This includes population projections and detailed portraits that reveal the locations of target LGBT consumers at macro (DMAs) and micro (zip codes) geographies. Complete LGBT data projections and analysis will be available to Motivate’s agency partners and clients. For more information concerning custom built LGBT insights for your clients and brands, please contact us at hello@motivateroi.com or 866.664.44332.